The Snowball Derby held each year at the Five Flags Speedway in Pensacola, Fla. is one of the crown jewel events in the world of Asphalt Late Model racing. Dating back to 1968, some of the most legendary names in American racing have graced victory lane at the conclusion of the main event. Darrell Waltrip, Donnie Allison, Butch Lindley, Jody Ridley, Kyle Busch and Chase Elliott are just a few of the recognizable figures to have taken the checkered flag from this historic race. Just making the show is a remarkable accomplishment for many of the entrants. And one driver who will be making his first attempt at taking the green flag for the Snowball Derby on Sunday, December 2nd will be Pro All Stars Series National champion Derek Griffith. The 21-year-old native of Hudson, NH looks forward to taking his shot at the legendary event and he believes his team will be putting their best foot forward when cars take to the track for practice on Thursday morning. Griffith and his crew will be debuting a new Fury Race Car that was picked on the way to the Sunshine State and they look forward to building a strong relationship with Fury guru Jeff Fultz in the process. So does the PASS championship and the new car give Griffith a boost of confidence going into the weekend? Griffith’s No. 12G had been an aging Lefthander Chassis and the driver felt as if his equipment needed an upgrade. 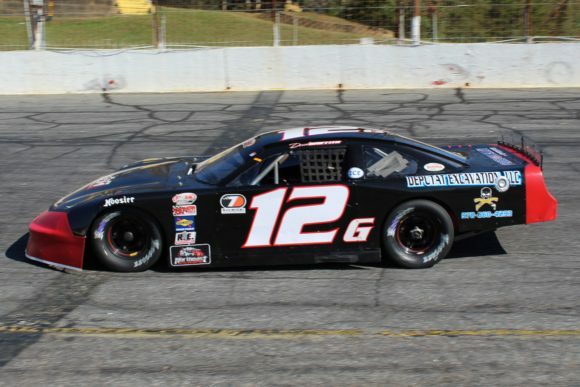 His first attempt at the Snowball Derby provided an excellent opportunity to make the change. The deal with Fury has been in the works for some time but is just now coming to fruition. The historic significance of the race considered by many to be the premier event in this form of racing is not lost on the young driver. The fact that so many of the top stars in all of racing enter the Snowball Derby offers confirmation of the race’s importance. NASCAR Camping World Truck Series regulars Noah Gragson, Grant Enfinger, Stewart Friesen and Harrison Burton are among those already entered in hopes of taking the green flag for the 300-lap affair. One thing Griffith will have to adjust to is the format. Qualifying rather than heat races determine the majority of drivers who will make it to the Sunday afternoon main event. Another aspect of this race that all drivers and teams must be prepared for is the meticulous inspection process that all cars will be put through. But Griffith believes that provides the best situation for all involved. 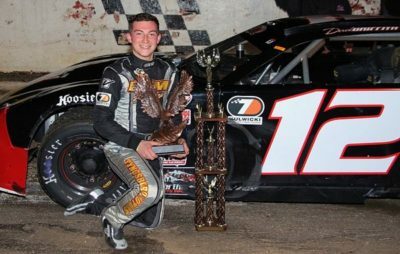 So what is the ultimate goal for Derek Griffith going into his first Snowball Derby?